Bow shackles with shake proof pins are forged by electrical upset methods here in the UK from A4-AISI 316 grade stainless steel, incredibly strong and hard-wearing, perfect for highly corrosive environments. Stainless steel bow shackles in a wide range of sizes from 5mm to 16mm, all shackles are finished to the highest of standards with a highly polished finish. Durable shackle ideal for a multitude of applications, such as: securing blocks and tackle, mooring and anchoring in harsh marine conditions. 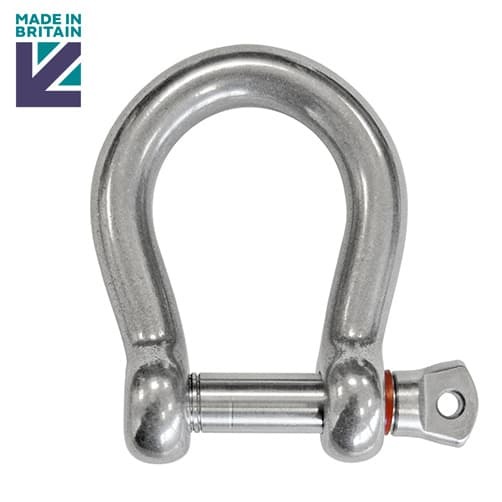 This high quality stainless steel bow shackle with shake proof pin is manufactured here in the UK. The shake proof shackle has both heads threaded. The pin will not fall out, but may still be unscrewed from the partially threaded second head. 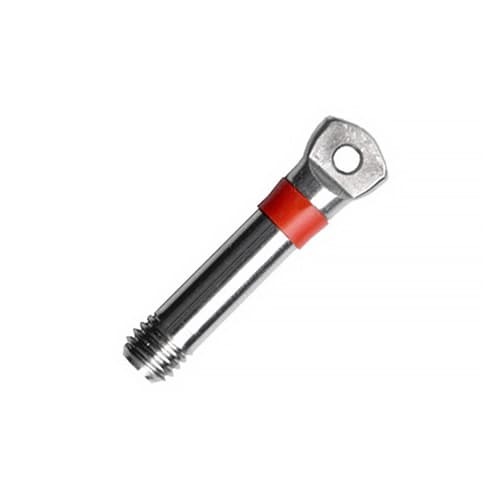 The shake proof pin incorporates an innovative polyurethane ring which enhances the fit of the shackle pin. Once in position the shackle pin will not vibrate loose. The shake proof shackle incorporates the Smart-Lock pin. This pin benefits from a unique locking mechanism. When the ring is threaded into the shackle body the ring acts like a viscous liquid and binds itself to the internal threads in the shackle head. After a short period of time the pin is locked into position. A sharp turn by hand or use of a shackle key will release the ring and allow the pin to be unscrewed very easily. The pin can be re-used without deterioration. Marine Bow shackles Tested & Certified To BS EN 10203 3.1b. Should you require your bow shackle tested, certified and marked with its Safe Working Load (SWL), you can simply call us on 01302 752 504 and we will be happy to carry this out. 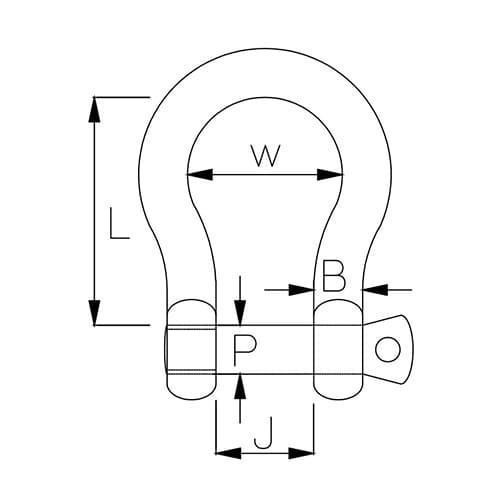 Once Tested, they are individually marked with a batch reference number and a Safe Working Load (SWL). A certificate will be issued. This will comply with lifting equipment regulations. You can e-mail us to discuss your requirements. All good quality. You get what you pay for.